Sports Water Bottle Carrier - the ideal football team accessory. Popular with many clubs and schools. Also perfect for carrying milk bottles and pint beer glasses. Excellent product. Will keep the kids bottles clean(er) and away from nasties on the park. 5 out of 5 Great Kit! Great piece of kit, every other team is jealous we have 6 of them for our age group. One request please could you make them in Green and orange as well! Really pleased with the water bottle carriers. After quite a bit of web research it was reassuring to find just the carrier so I didn't have to purchase the bottles.Great value and a robust item which is fit for purpose. I would recommend this item - very happy with it. 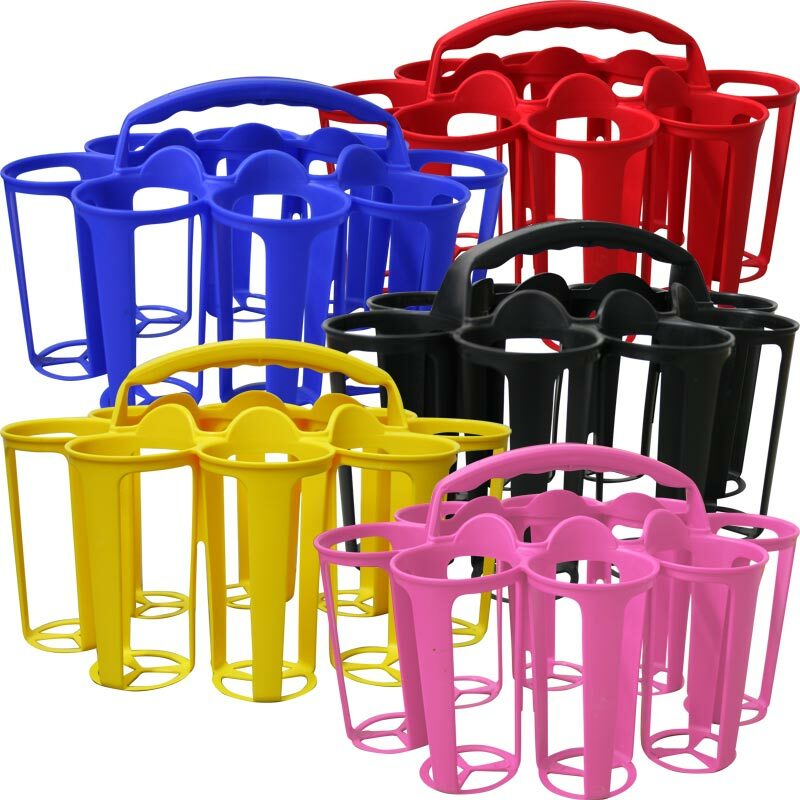 Great product, helps keep pitchside tidy and no more wasting half time while kids look for thier drinks. Reasonable price lightweight but durable. Really efficient delivery service. Think these are great - we've had a pair for 3 years now and only a small break in one section over that period of time so quite strong. 2 are sufficient for an 11-a-side team, design enables numbered bottles to be viewed without pulling them out and they stack easily when not in use. Can you do orange ones next time please? 5 out of 5 Fab !! Nice and sturdy. Does the job. Perfect for outside to hold the excess bottles when recycling bin is full! Great value for money. Very good quality. Used at the 80's Rewind festival to carry eight beers at a time. Fantastic bit of kit everyone passed comment and asked where I got it so expect more orders. Pete. Good sturdy product at a great price, with quick delivery - works well for our Pilsner pint glasses. Very pleased, many thanks! Was really pleased with the bottle holders I ordered for the football team . It is good quality and came extremely quickly. Would be happy to recommend . 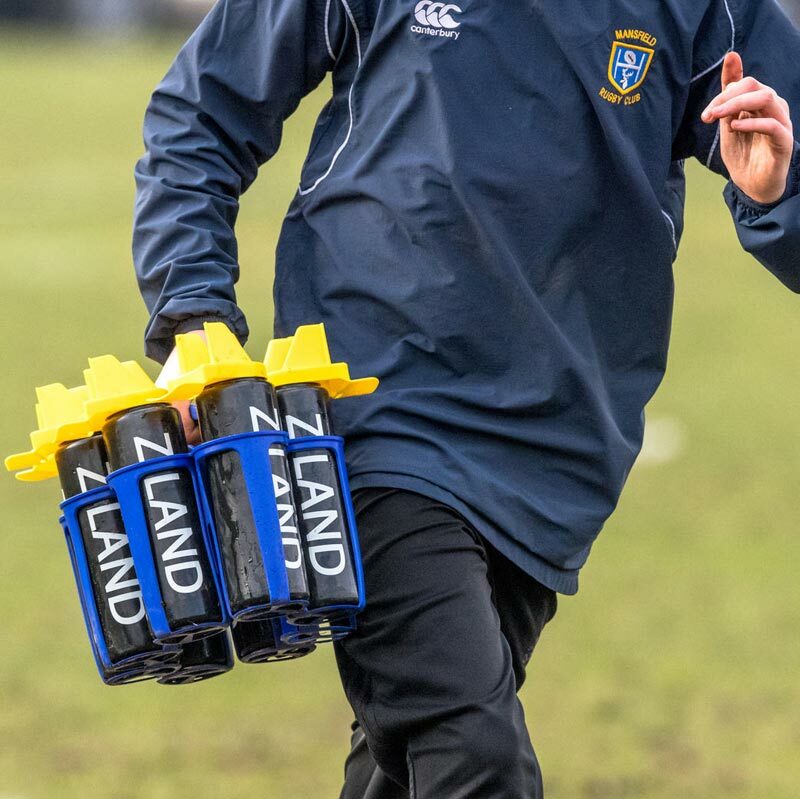 Great robust carrier, especially for muddy football fields in winter as it can be literally hosed down afterwards in the garden but also handy enough to rinse off in the sink. Didn't go for folding carrier as they working parts can break and get muddy so this plastic Molded on is great. an excellent light weight product. My German Shepherd dog is pulling a cart, decorated as a milk float. My Border terrier rides on the cart and delivers milk to customers . It's super lightweight means we can put in several empty plastic milk bottles and he can carry it easily. We have purchased 2 of them to fill the cart. To be used this summer in the dog display team we are in. Not affected by wet weather unlike the plastic coated wire ones sold for milk, which split easily letting in rain. This is a very light and excellent idea for any kinds of sports and activities as I find that this is very useful. Hope to buy more later. This product was such good value, well made and postage free! Unfortunately it was a little large for my intended use (small children's drink bottles). I expected it to be lighter and a little more compact. However for team sports use they would work perfectly. I would definitely recommend the product for such a purpose. Fab product, strong and lightweight. Compact design,kids loved having somewhere to store their bottles rather than them on the ground getting knocked over. Great product at a fraction of the price it would cost on the high street. Does it's job perfectly and really pleased with purchase. It's great, exactly what I needed. Fantastic value and does exactly what is required. I would recommend this to anyone who requires a water bottle carrier. I bought this as a stop gap for the new basketball team , it's very good product very easy to carry fits in all size of hands from adults to the kids on the team , I can see another purchase when we secure funds for a new kit and will match the colour to the new kid.